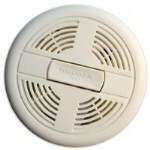 Oregon law requires that before a home can be sold, it must have smoke detectors and carbon monoxide detectors*. Smoke alarms are required to have a hush/silence feature, and if they utilize an ionization sensor exclusively (and aren’t a part of combination detector) then a 10-year/long-life lithium battery must power it. If there is a hardwired system or a plug-in system, they must have a battery backup. *Carbon monoxide detectors are required if there is a heater, fireplace, furnace, appliance or cooking source that uses coal, wood, petroleum products or other carbon monoxide producing fuel. OR if the home is connected to an attached garage by a door, ductwork or ventilation shaft that communicates directly with a living space.